when envelopes are printed it does not feed them in fully from either the main tray or single feed, they slip after they go in about 50mm then jam. All problems on this page have been submitted and answered by users. 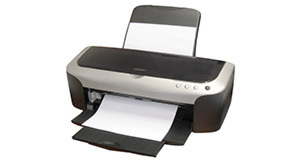 If you have a problem with the HP Deskjet 1120C, please submit it below and we'll post it here. Problem: when envelopes are printed it does not feed them in fully from either the main tray or single feed, they slip after they go in about 50mm then jam.